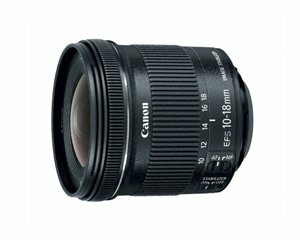 Santa must have thought Loonie had been nice all year because she added yet another lens to her collection, a Canon 10-18mm f/4.5 IS STM wide-angle. I know what you must be thinking: “What happened to the Rokinon 14mm wide-angle?” Well, let’s just say that I got a great deal on the Canon. Anyway, she was all excited about that and has been snapping away (I’ll post some pics shot with the new lenses soon). She’s got her work cut out for her though as there’s TONS of older pics to be culled out before we start importing everything into Lightroom. Since she’s shooting in both jpeg and RAW hard disc space is getting gobbled up at an alarming rate! I can see this all getting out of hand real quick. Made reservations for two nights in August 2016 in Yellowstone for the car trip with Mom. One night each at Canyon Lodge and Lake Yellowstone…both cabin units. I lucked out big time as each of those were the last of just two or three remaining units. Then I find out that you need to make dinner reservations WAY in advance. No luck at the Canyon but I was able to get us in for dinner at the Lake. Unbelievable! We’ll be staying the first night just outside of the park in West Yellowstone so that should give us three full days to catch at least some of the high-lites of the park. From there we’ll head south to the Tetons for a night and then back to Boise for the flight home. I’ve also made the West Yellowstone and Jackson Hole reservations so all that’s left to do for now is lock in the flight, rental car and hotel reservations in Boise. Hopefully Loonie and I will be able to return to each park one day and spend some time in the backcountry. Deep Woods and I will be heading to REI next week to look at packs. I’ll be sticking with my cuben fiber pack for the AT trip but want to check out the Osprey Atmos 65 AG to see if it will work as the heavy hauler for when Loonie and I go together. Deep Woods is wanting to get a look at the same pack. 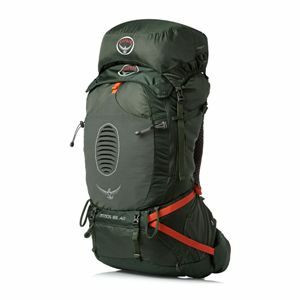 The Atmos was a top pick by both Backpacker and OutdoorGearLabs and it’s supposed to carry really well up to 40+ lbs. That’s just what I’m looking for as I’ll be trying to carrying everything possible and limiting Loonie to carrying just her camera, clothes and essentials. The big question is what kind of room there’ll be after sticking a BearVault BV500 in the thing. 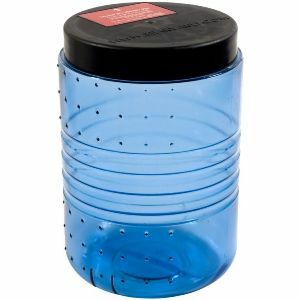 The bear resistant canister is a requirement in Yosemite and that’s where we’re shooting for in 2017. Hopefully I’ll be able to carry the thing internally and still have room for everything else. We’ll see. 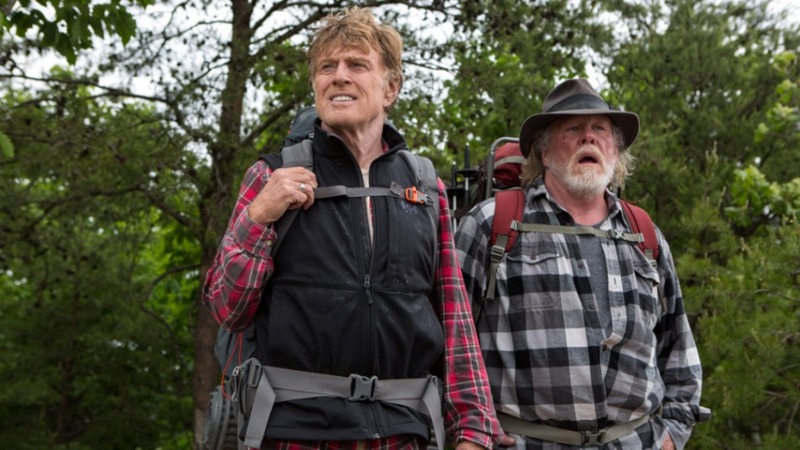 Finally, we got around to watching “A Walk in the Woods“, the Robert Redford film based on the best selling book by Bill Bryson. It takes Bryson and his co-hort Katz a couple of days to realize they’re in the Smokies after crossing Fontana Dam. In reality, as soon as you cross the dam you’re greeted with a big sign pronouncing “Great Smoky Mountains National Park”. You can’t miss it! After crossing the dam the two immediately cross a waterfall. Fact is you will not cross any waterfalls the entire time you’re on the AT in the Smokies. Maybe some runoff after heavy rains but nothing like that shown in the movie. I can’t say that I remember anything like they crossed in the section we’ve done thus far. Other landmarks are out of place or inaccurate. Heading north, you reach McAfee Knob long before Shenandoah National Park whereas the movie depicts it as after. To anyone who has hiked the trail, the movie’s depiction seems very disjointed. At lot of sections are out of sequence. While the movie does a pretty good job of passing on “Leave No Trace” practices such as the need to bury your poop, Bryson is shown burying his poop right out in the open just 10 yards or so from where everyone is camped. MAJOR no-no!!! The movie depicts nearly every person that they come across on the trail as crazy, inconsiderate or some sort of backwards southern hick. Our experience has been anything but that. Yes, there have been a couple of people we’ve run across that were a bit strange but otherwise everyone we’ve met has been polite, helpful and down to earth. Most are out there for the same reasons as you: to get away and enjoy the experience of being outdoors and taking in the amazing scenery. Finally, you’ll find no grizzly bears on the AT. Black bears, yes but you’ll have to drive a couple thousand miles to see grizzlies. The movie shows an encounter they have with two. I don’t know…maybe escapees from the local zoo. All in all, it was an ok film, especially for the casual viewer. Hopefully it will raise awareness of the need to protect and improve the trail for future generations.